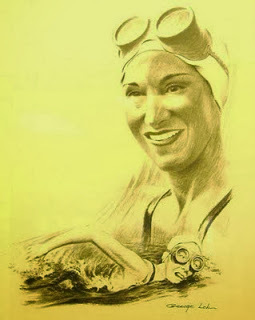 On July 4, 1952, Florence Chadwick was on her way to becoming the first woman to swim the Catalina Channel. She had already conquered the English Channel. The world was watching. Chadwick fought the dense fog, bone-chilling cold and many times, the sharks. She was striving to reach the shore but every time she looked through her goggles, all she could see was the dense fog. Unable to see the shore, she gave up. Chadwick was disappointed when she found out that she was only half a mile from the coast. She quit, not because she was a quitter but because her goal was not in sight anywhere. The elements didn't stop her. She said, "I'm not making excuses. If only I had seen the land, I could have made it." Two months later, she went back and swam the Catalina Channel. This time, in spite of the bad weather, she had her goal in mind and not only accomplished it but beat the men's record by two hours.